While a group of us dined pre-Nutcracker tonight, the topic of conversation turned to Holiday traditions. A few pretty awesome weird ones amongst the group, including one family who sings the Twelve Days of Christmas every year. If you aren't nice to the older brother MC, you end up with one of the worst days. That got me thinking to my favorite version of the Twelve Days of Christmas. 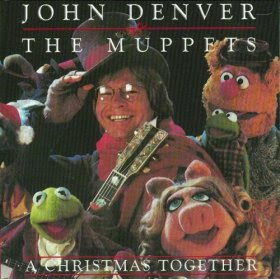 Definitely John Denver and the Muppets. Probably listened to it 1,000 times from the age of 4 to 8. Still holds up today. Check it out.